Modern farmhouse to the max. Remember when Chip and Jo launched a bedding line at Target a mere two weeks ago? It turns out that that launch was part of a larger collection hitting shelves just in time for a spring refresh. 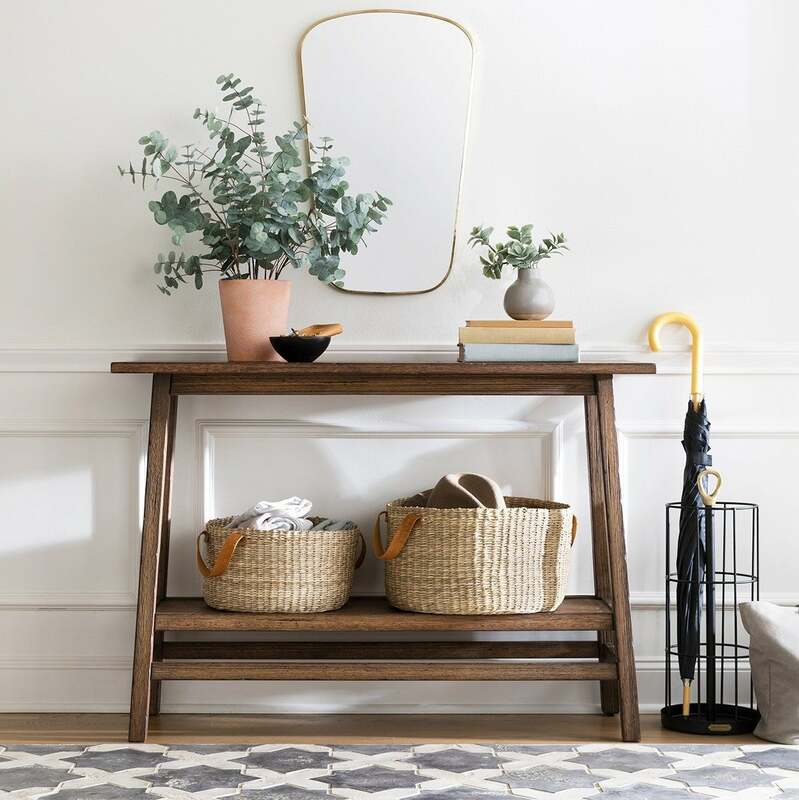 Hearth & Hand with Magnolia’s latest assortment of goodies is laden with modern farmhouse (obviously) pieces and subdued neutrals perfect for kicking off 2019 in a serene way. “There’s something about a fresh start in the new year that makes me want to switch to a clean & simple color palette and add in a few plants, subtle textures, and a fresh scented candle!” wrote Joanna in an Instagram post announcing the new line. While the new collection follows the same simple design sensibility of past launches, this batch of products seems focused on crafting a zen home. Plush bedding aside, there’s a range of guest bedroom products—bath salts, towels, scented candles, and even a weekender bag—and an assortment of faux greenery that will help you turn your space into a sanctuary. If your new year’s resolution was to slow down and indulge in everyday luxuries (like a certain Joanna Gaines), this collection could be a good way to start. Shop our edit below and don’t miss the potted plant and tabletop pieces. According to Joanna, they’re her favorite ones. Treat yourself to new bedding. Made from organic cotton, these sheets are endlessly comfortable. The slightly imperfect edges of these plates only add visual interest. And thanks to the simple black-and-white pattern, they make a great addition to practically any tablescape. The only trio of lotion, soap, and scent your guest bathroom will need. If you desperately want plants but struggle to keep them alive, a faux plant that looks anything but is the way to go. Imbue your desk space with a bit of old-school charm. You can never have too many ceramic vases. We’re loving the peephole detail at the top, which makes this otherwise basic white piece a little more elevated.